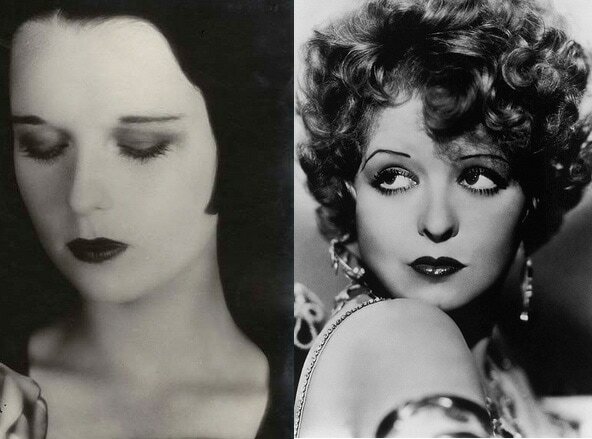 A complete guide to 1920s makeup and hair, featuring the popular hairstyles and makeup styles of the ’20s, plus Jazz Age beauty and hair tutorials. Our newest series, “Beauty by the Decade” explores beauty trends from the past and transfers them into wearable, updated ideas for hair and makeup. In case you missed them, see our guides to 1970s hair and makeup, 1960s hair and makeup, and 1950s hair and makeup. The Roaring Twenties were a time of dancing the Charleston, The Great Gatsby, flappers, jazz, and Old Hollywood. They were also a time of fabulous fashion and beauty – the iconic looks of the ’20s have been repeated over and over in the years since then. These classic beauty looks are fun to recreate, adding a touch of dramatic Old Hollywood to your modern day routine. Whether you have a ’20s party to go to or just want to add some Old Hollywood glam to your look, below is a guide to the makeup and hair trends of the 1920s, plus how to get a 1920s beauty look at home. Bobbed hair with finger waves was extremely popular in the 1920s. 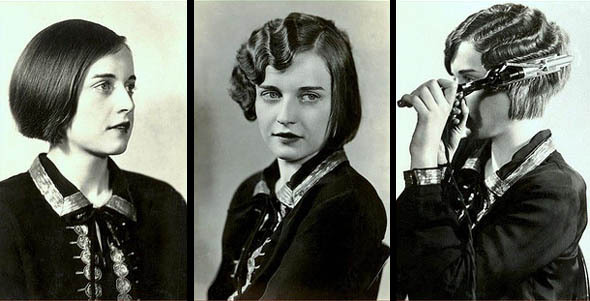 Louise Brooks, Clara Bow, and Marion Davies, considered the “it girls” of their time, were all pioneers of this look. 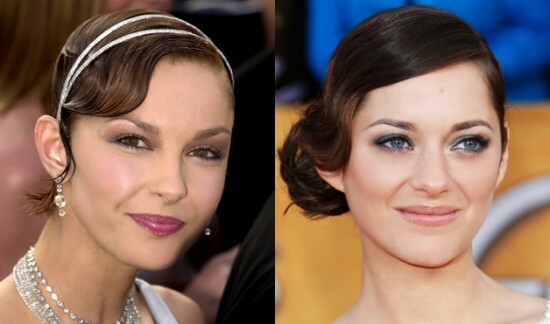 Although finger waves look a bit more authentic on bobbed hair, this ’20s style is still doable with long hairstyles. Here is a great video tutorial on how to create finger waves and a faux bob. 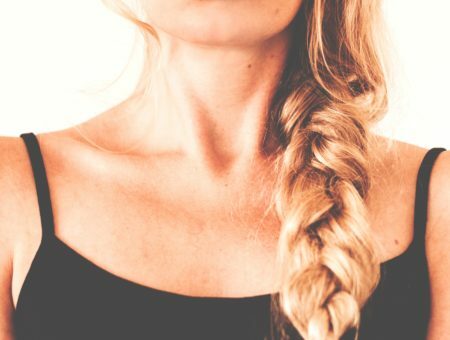 With your hair parted at the side, make a bun at the nape of your neck. The bun should be a little off-center. Use bobby pins and hair spray to keep it intact. Make sure you leave a little hair out of the bun on the “heavy” side of the part (the side with more hair on it) — that way, you have some hair to frame your face. Take the hair you left out and create finger waves with a flat iron. To do so, clamp the iron down on the piece and do a half rotation outwards. After holding it in place for a few seconds, move the iron down the piece and do a half rotation inwards. Alternate this pattern until the piece is finished. Remember – practice makes perfect! Spritz your hair with some hair spray for staying power. Take bobby pins and pin the waved piece to the side of your face. Two makeup staples of the 1920s were dark lips and kohl-rimmed eyes. 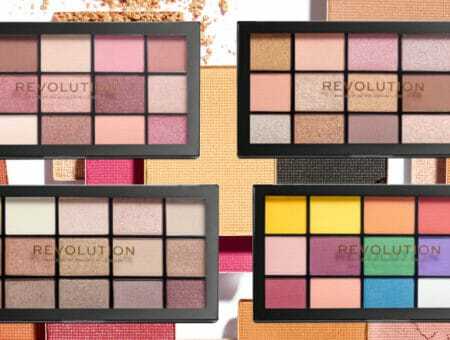 In the ’20s, the makeup industry was relatively new, and women were just beginning to purchase cosmetics on a regular basis. Dark red lipstick was the hot ticket because it was the only color available. Mascara was far from today’s tube and wand combo — it came in a cake of wax that you added water to in order to create a paste you’d brush onto lashes with a small brush. One of the most iconic beauty looks of the ’20s was dark lipstick that outlined and emphasized the cupid’s bow of the upper lip. Line your lips with a dark lipliner, emphasizing the bend in your upper lip. For an authentic look, create an outline that is shorter than the width of your mouth. Apply matching lipstick (preferably of a darker, wine color) within the outline and blot. Start by choosing a shadow with a slightly gray base. This is more wearable than a black eyeshadow, which could come off too strong. Apply a dark eyeshadow on your eyelids. Sweep a little eyeshadow up and outward beyond the edges of your eyes (almost in a “cat eye” look) for a little dramatic flare. Line your upper and lower lashes with a black eyeliner, smudging the bottom lines for a more blended look. After giving your eyelashes some lift with an eyelash curler, apply a few sweeps of mascara to your upper and lower sets of lashes. Would you incorporate the beauty trends of the ’20s into your beauty routine? What’s your favorite look from the ’20s? What decade would you like to see next in “Beauty by the Decade”? Let us know in a comment!